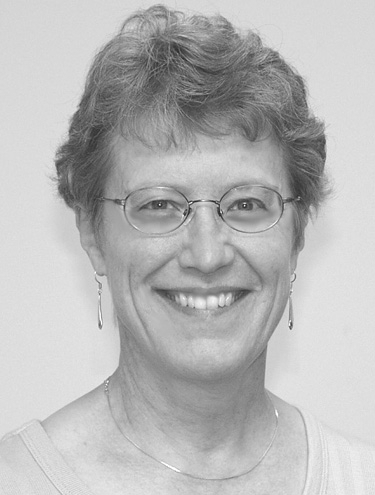 Elizabeth Liebert is Professor of Spiritual Life at San Francisco Theological Seminary and a member of the Christian Spirituality doctoral faculty at the Graduate Theological Union. Her teaching regularly includes spiritual formation classes for persons preparing for ministry in Christian settings. She frequently writes on spiritual practices and their transforming potential for ordinary persons. Her next book will focus on using discernment in decision-making. Among the ways that integration occurs in the seminaries, especially in the person preparing for ministry, spiritual formation holds a significant (though not exclusive) place. Seminary students engaged in intentional spiritual formation regularly report that they make significant breakthroughs about their own strengths and their emerging vocational direction through formation practices. At moments of struggle, they are grateful for a “holding environment” that allows the struggle without imposing predetermined outcomes or time frames. They can continue the struggle as long as necessary, trusting that their searching and wrestling are held confidentially and prayerfully in the hearts of their colleagues, and co-travelers engaged in their own searches and struggles. Spiritual formation can be defined in various ways. In its widest sense, spiritual formation means attending to the Holy’s manifestation, discerning the authenticity of this manifestation from other “voices,” and responding through appropriate actions and practices. In attending, we learn to look in expected and unexpected places for the traces of the Holy: in oneself, in relationships, in communities of many sorts, in systems and structures that organize society, and in the natural world itself. In discerning, we sensitize ourselves to listen — to ourselves, to others, to cultures, circumstances, nature, as well as to sacred texts and liturgical practices of our various traditions — and to distinguish how God might be present and active. In responding, we come alongside God in God’s gracious activity, discovering our own particular call within the rich web of relationships that we inhabit and how to live out this call in our lives. This threefold dynamic continually repeats: the Holy continues to call, communities and voices shift, and we continue to respond as challenges come and go. Spiritual formation, then, is a lifelong endeavor, available to all persons, no matter what their religious tradition or cultures. Spiritual formation will, of course, vary considerably between different people and contexts, religious and otherwise. A Torah study group, a charismatic prayer meeting, a high school mission trip, a colleague support group, a vision quest, even a visit to the art museum: all are potentially spiritually formative in their respective contexts. The integrative potential of such diverse experience appears directly related to the ability to reflect on the experience in light of one’s faith commitments. At another level, spiritual formation is also an intentional task of faith communities as they continually reflect on how to transmit the wisdom of the tradition to the next generation and invite their members into continually deeper lives of faith. The relationship of theology to spirituality becomes relevant at this point; theological commitments frame and structure the community’s understanding of spiritual formation. How does this community envision the Holy, and the possibility of God’s communication with humankind and our ability to receive it? What is the “story” of this community of faith into which it invites its adherents, and how is it being lived at the present? Who are the “saints” or holy people envisioned in this tradition, and how does one become like this kind of person? What have been the time-honored forms of spiritual formation in this community’s past, and how can they be effectively employed in the present? Clearly, spiritual formation can vary significantly from one faith community to another, even in different local manifestations within the same faith tradition. But the community that ignores, abuses, or significantly restricts spiritual formation soon finds itself stagnant, even dying. For better or for worse, spiritual communities have agendas that they carry out through spiritual formation. At its best, formation is more than assimilation into the status quo. It is, as Davina Lopez notes, “the process of critically creating and re-creating ourselves in relation to a larger whole, all the while engaging questions of who we need/want to be and what kind of world we envision.”1 One of the tasks of a seminary-based spiritual formation program must be to teach the critical skills for evaluating the spiritual formation that is explicitly encouraged, that which “just happens” without much attention, and even that which is taught by its absence. At the level of the institutions that prepare leaders for faith communities, I believe spiritual formation must contain two foci: 1) The spiritual formation of the emerging leader, both in the present and for their future as religious leaders; and 2) Their preparation to, in their turn, offer spiritual formation in their future places of ministry. They will be the catalysts of the spiritual formation in their own settings, the ones who set the example, invite, supervise, evaluate, and integrate spiritual formation into the life of particular faith communities. But they must also themselves be persons of vibrant faith in order to carry out their spiritual leadership over time. When the spiritual formation of the minister dries up — sometimes at the encouragement of the busy congregation — clergy more readily crash and burn, causing damage to ripple throughout their congregations. I am convinced that ongoing clergy spiritual formation is one of the most effective prevention programs available to communities of faith. These integrative threads are set in dialogue with the critical theological and biblical formation carried on in their respective parts of the curriculum, providing, we intend, three legs that contribute to the overall spiritual formation of clergy. Our desired outcome of “whole leaders for the whole church” requires the entire seminary curriculum for its realization. We seek to prepare future leaders of faith communities who not only understand but have internalized the Christian biblical tradition (biblical studies), recognize the varieties of ways Reformed and other Christians have lived out their Christian life with others (history of Christian thought and practices, world Christianity, interfaith dialogue), can speak critically and responsibly about their tradition (theology and ethics), and have the skills and arts of ministry (homiletics, pastoral and spiritual care, administration, Christian education). This formal curriculum is surrounded by a vibrant chapel program, with four regular worship services per week. The chaplain and chaplain’s assistants, who are students, not only oversee the preparation of these services, but also attend to the spiritual care of the campus community. A counseling center, which offers spiritual direction as well as several counseling modalities, is available to faculty, staff, students and their families, and to the larger community. In a very real sense, spiritual formation is the task of all the disciplines and all the professors, and, indeed, a goal of the entire life of the community. In addition, San Francisco Theological Seminary also has a long-established Program in Christian Spirituality invested with the task of extending and deepening the spiritual formation offered in the curriculum, as well as providing specialized preparation for leadership in spiritual formation that the students will employ in their future pastoral roles. In a rotation of five one-credit elective courses, we invite students to deepen their practices of biblical prayer, centering prayer, contemplative listening, personal discernment, and discernment of systems and structures, while at the same time learning practices of spiritual reading and small-group spiritual guidance. We invite them to pay attention to their service and leadership and to see how those are connected to their spirituality, and we encourage them to connect their spirituality to life in the world. We assist them in finding spirituality courses in the various schools in our consortium that match their needs for preparation in spiritual formation ministries. While much of what the Program in Christianity does is curricular, we are particularly attentive to providing safe spaces for personal spiritual exploration within small group communities, holding at bay the pressures of “right answers” or “right behavior” in order to allow maximum freedom for individuals to notice how God might be at work in them, their surroundings, and the wider world. We invite all students to participate in spiritual direction and provide referrals (on and off campus), and we offer a highly respected diploma for specialized training in the ministry of spiritual direction that students can begin during their MDiv studies. We encourage other faculty and staff to mentor individual students or small groups beyond what the staff of the program can ourselves do, and to support students in setting up their own formation groups. In short, recognizing that spiritual formation can take place at various nodes in the institution, we provide what we hope is a balance of formal courses and less formal spiritual formation offerings so that students can find that which most helps them at various moments of their seminary journey. A student recently told me, at the end of one of our one-credit formation classes, “I struggled with the practice all semester, and I am clearer than ever, that this practice, however valid for some persons, is not one that nourishes my spirituality. But I’m glad I stayed with it because I really know what it is. I feel I could with integrity introduce it to a congregation.” I want to say, in return, “Great! You’ve learned some very important things: people pray differently; your way of praying will not fit all others in your congregation; and God is faithful beyond any particular practice.” Not bad for a couple hours a week for a semester. 1Lopez, Davina C. “Marking Time, Shaping the Future.” Religious Studies News 24, no. 12 (October 2006): 12.